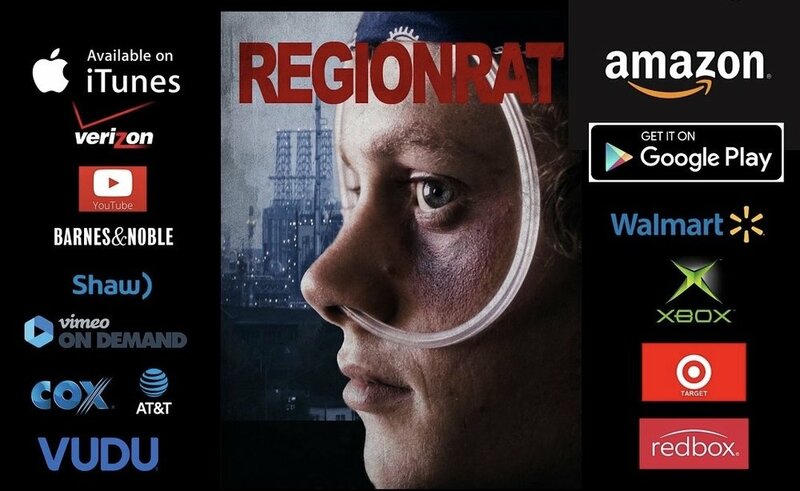 On this episode we chat with Director Javier Reyna and writer Richard Laskowski who recently released their indie film, Regionrat. We talk about where they are from, where they went to school and then get into how the two of them got connected. Richard shares about the circumstances surrounding writing the book, how his writing process never presupposes a specific end result and about mimicking the voices of others before settling into his own. Their film is set in Gary, Indiana, and making the film for them was about depicting the lives of teenagers in the region whose parents are often absent and unaware of the implications of not providing guidance in these crucial adolescent years. What also emerges from our conversation is that movie making is not always glamourous. They faced immense challenges in producing a film on a tight budget and had obstacles with funding and people who never came through on their promises. They share about their prior hopes of making the book into a series, their pilot episode and the many years it took for them to finally get the film out. They appeal strongly to others to support their indie movie, admitting their absolute dependence on people to buy the film. Join us today for much more from these two talented artists! • How Sourdough and Richard came into contact. • How Javier and Richard started working together. • The reasons why Javier was drawn to Richard’s book. • Richard’s writing process and mimicking others’ voices. • Why not being as educated can be a major advantage in writing. • How Javier got into filmmaking and the films that inspired him in his younger days. • Navigating and breaking through the negative connotations attached to being an artist. • Richard on writing for fun and never having a specific end goal or purpose in mind. • The long process of trying to get Regionrat out. • Why making the movie was such an intense experience. • The various challenges they faced in making the movie on a limited budget. • More about the casting process and how well the actors performed. • The prejudice that used to exist around people from North-West Indiana. • What Javier and Richard want people to know about their project. • The lack of parent involvement and guidance in teenagers’ lives as a theme in the film. • Their plans of making the book into a series rather than into a feature film. • Why they are absolutely dependent on people to buy the movie. • Connor Williams’s great work ethic and commitment.